This champagne flute set is the perfect gift this Valentine’s Day for you and and your other half to share. 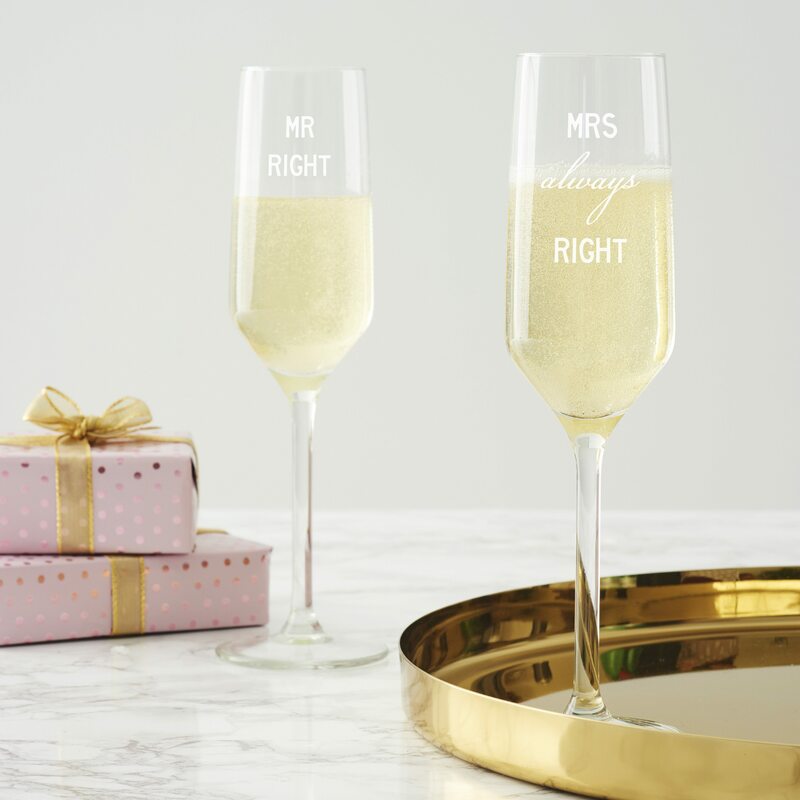 One glass is etched with the word ‘RIGHT’ and the other with ‘ALWAYS RIGHT’, this witty set of glasses is sure to ring true in every relationship! 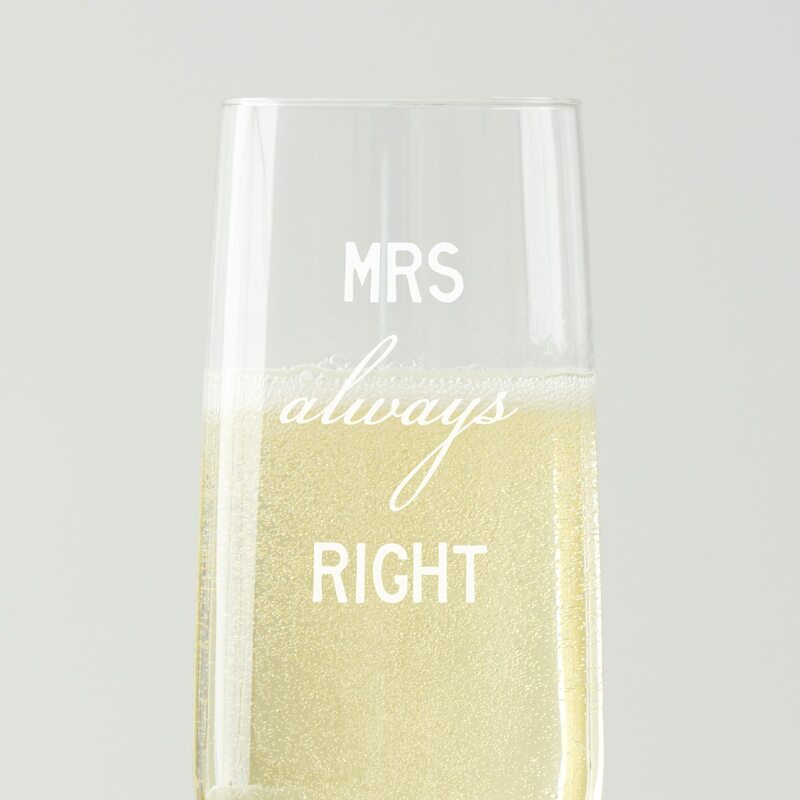 The champagne flutes would also make a great wedding gift. 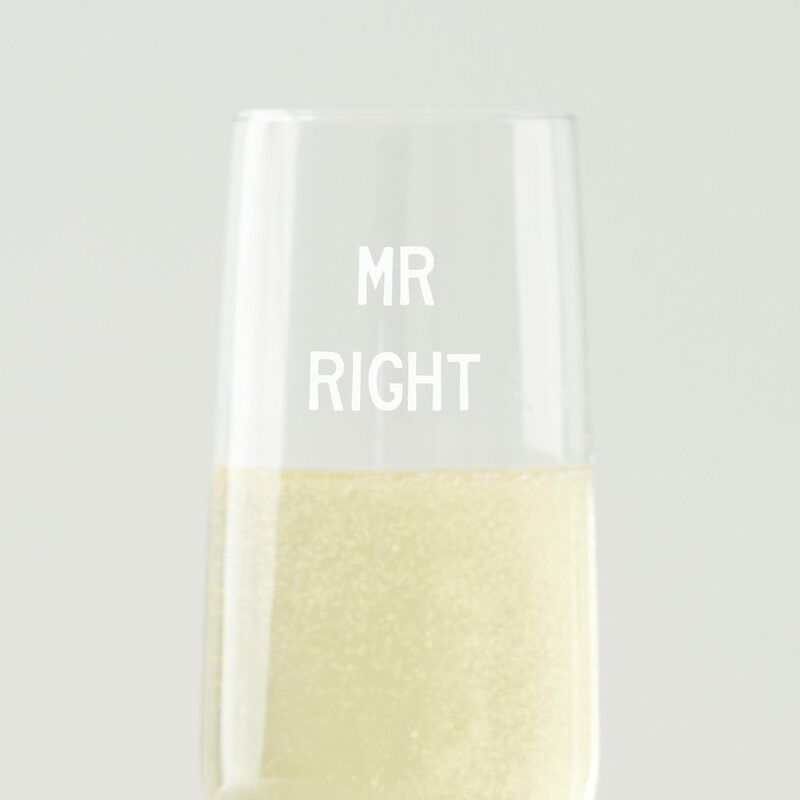 Just choose an option of Mr or Mrs for each glass from the drop down menu. 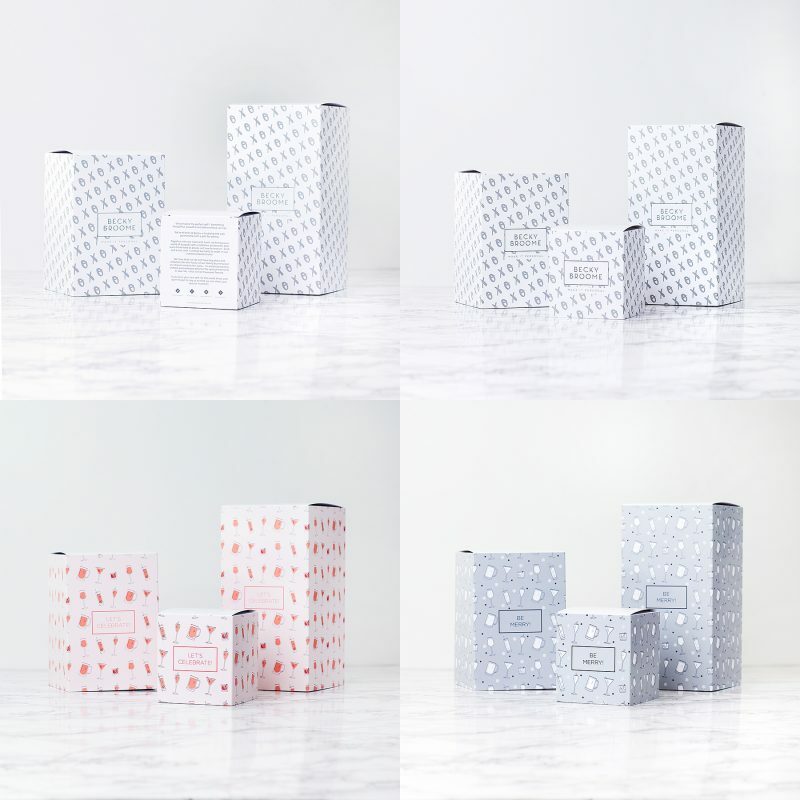 Please double check your chosen personalisation as we will etch exactly what you enter. 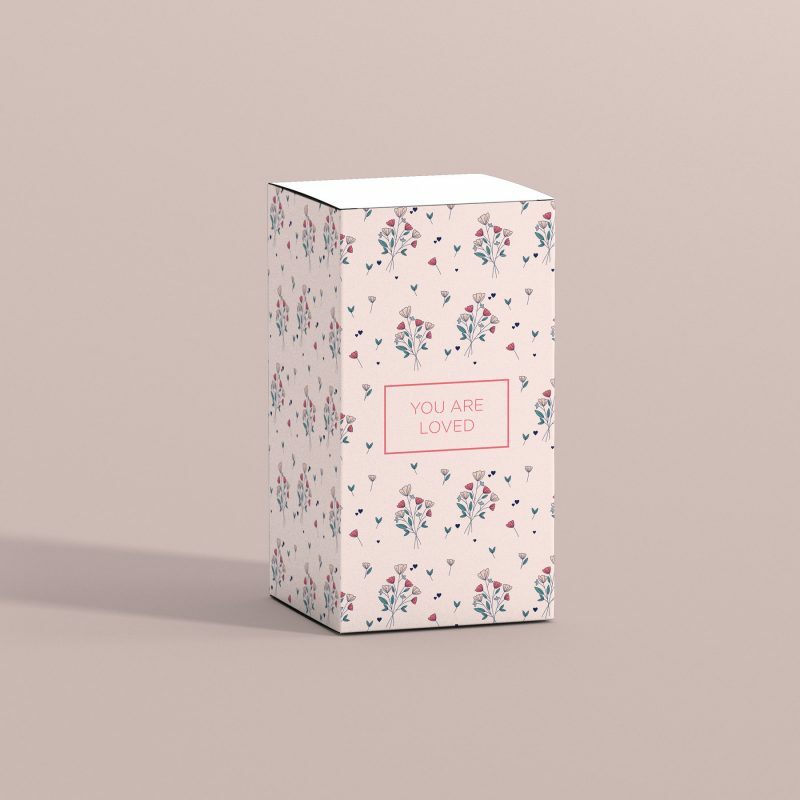 As standard, the glasses will each come bubble wrapped and are sent in a bespoke postal box.